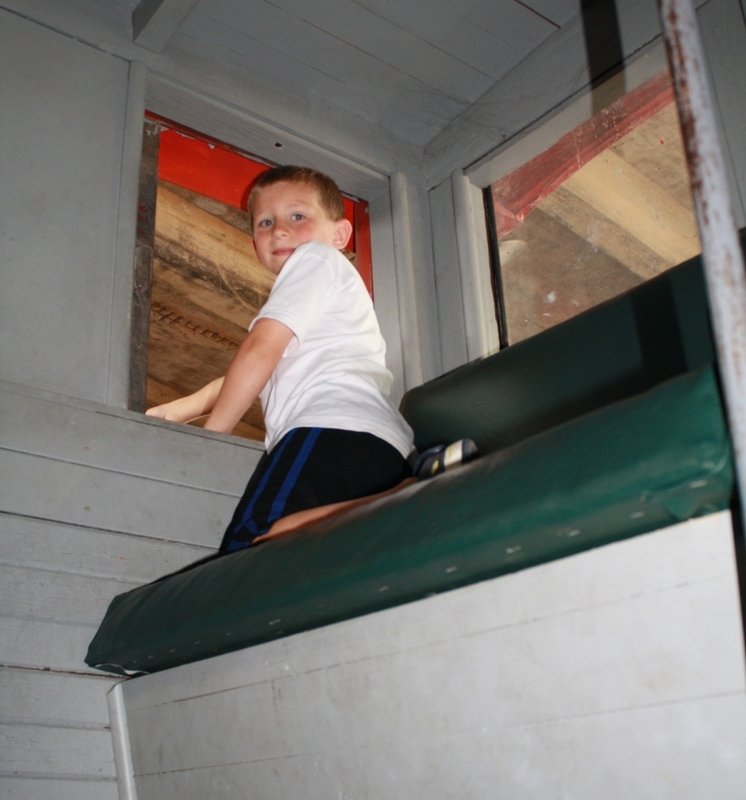 Ascending the steps to the railway car takes a little boy back in time where railroad travel was an innovative mode of transportation. It carried passengers, freight, and even mail across the land. The engineer blows the horn and the train slowly backs on to the turntable as we listen to the history of the Savannah Shops of The Central Railroad. Today the complex, known as The Georgia Railroad Museum, is being restored for all to explore as well as becoming a working shop to restore engines and cars. 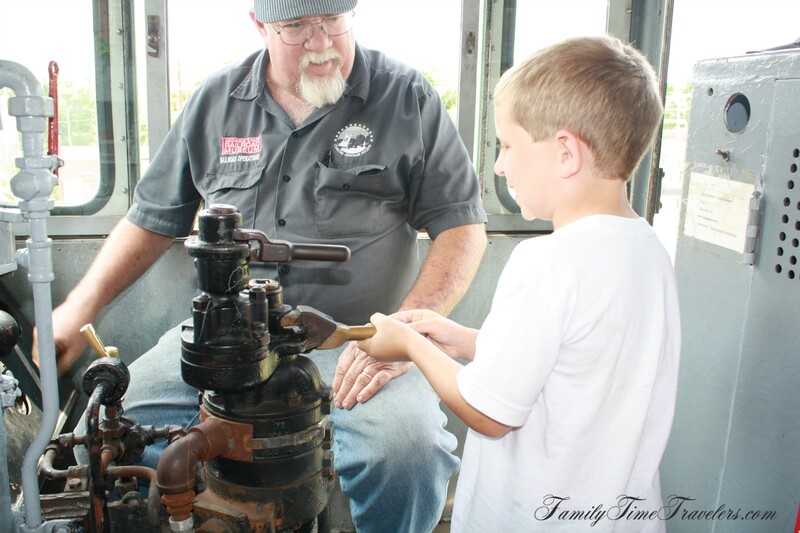 Preserving history for the future generations is the goal of the museum as well as reconnecting the tracks from the shop to the main line. 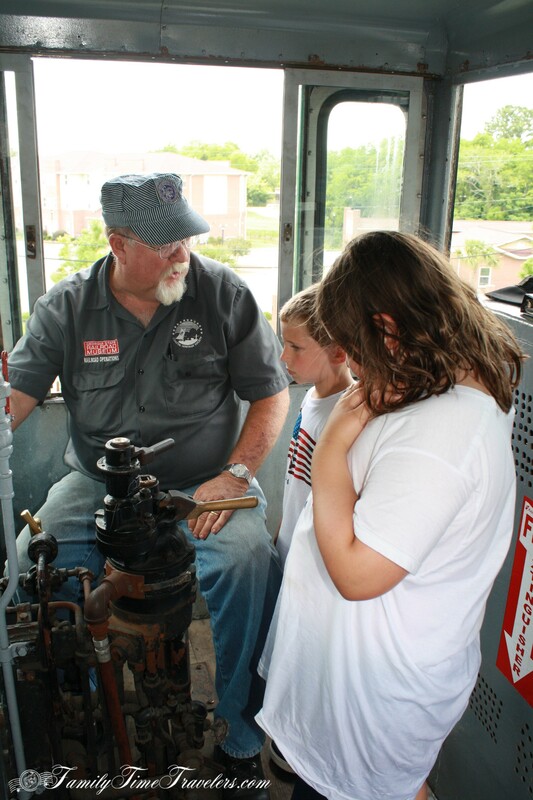 The museum provides a lot of “hands on” activities and allows you to get up close to restored engines and cars as well as view ones that are in the restoration process. Commercial activity for Savannah centered around its port. Cotton, which was one of the crops planted in the first garden of Savannah, would be shipped down to the port of Savannah to be exported overseas. However, with the creation of the port in Charleston, SC, the shipments of cotton to Savannah begin to slow down. To counteract this slowdown, officials in Savannah obtained a state charter in 1833 to create a canal and railroad via the Central Rail Road and Canal Company to link Macon to Savannah via canal or railway. It became clear it was difficult to raise the money necessary to build the railway so the canal portion was abandoned and the name changed to the Central Railroad and Banking Company in 1836. Construction on the rail line from Macon to Savannah began in 1835 and was completed in 1843. At the time of completion, this 190 mile line was the longest continuous line under one management in the entire world! 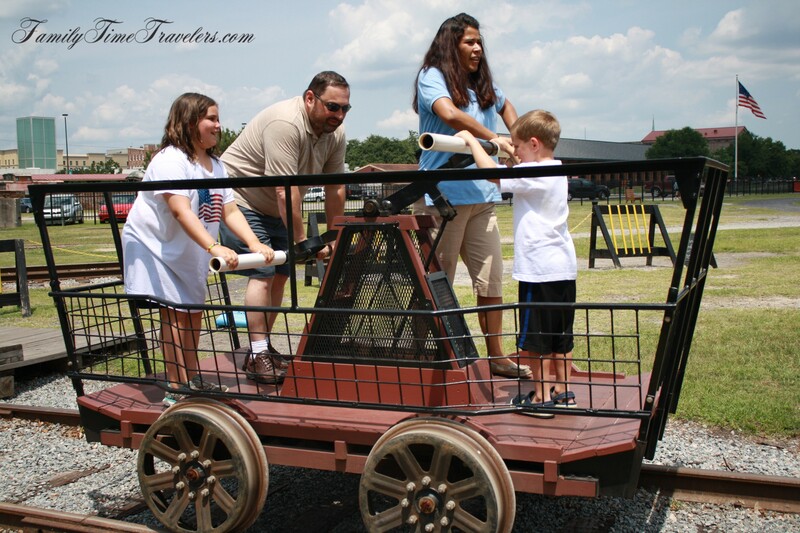 This brought growth to the Savannah rail yard and shop with construction on the shop complex beginning in 1836. One of the most interesting historical components of Savannah is how intertwined the historical figures were. The first President of the Central of Georgia was William Washington Gordon, who was the grandfather of Juliette Gordon Low, the founder of the Girl Scouts. William Washington Gordon had also been a Mayor of Savannah prior to taking on his role with the railroad. He was responsible for overseeing the construction of the rail lines, shop complex, and passenger station in Savannah. Upon his death, Richard Cuyler became President and beginning in 1851, he oversaw the construction of a much larger facility for maintenance, repair, and construction of locomotives and rail cars in Savannah. 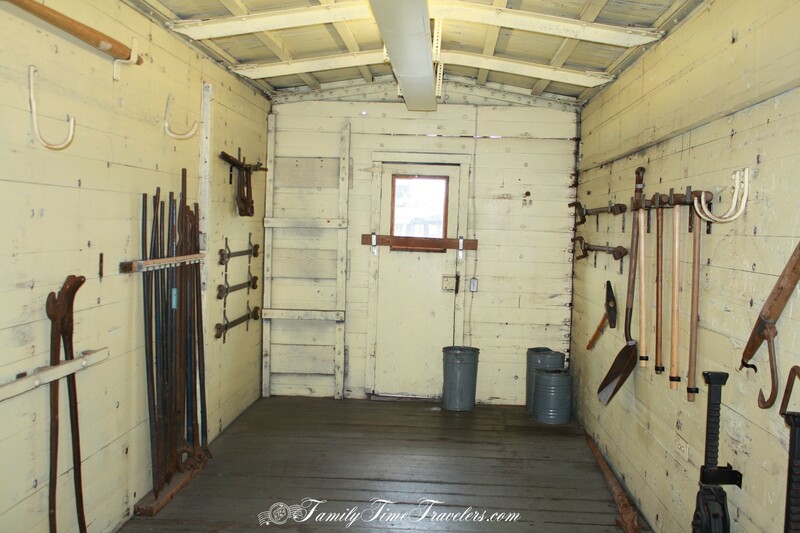 The shop complex in Savannah included a roundhouse with 39 stalls, a turntable, machine shop, blacksmith shop, carpentry shop, boiler/engine house, tender frame shop, smokestack, and additional smaller shops. The Central as it was called began operating fully in 1840 with most of the revenue coming from freight and this continued through until the Civil War. The Civil War years were very tough on The Central. At the beginning of the Civil War, The Central controlled 229 miles of track out of the 1420 miles of total track in the state of Georgia. 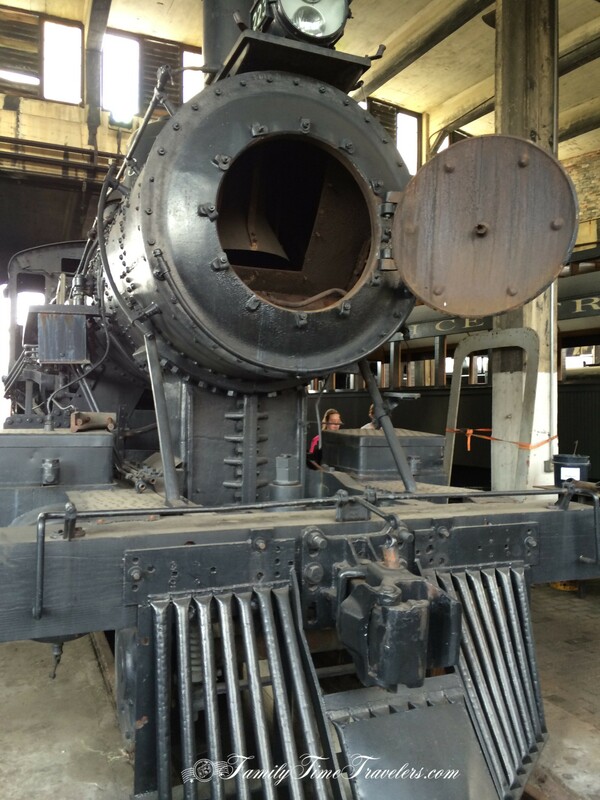 The Central also had 59 locomotives and 729 cars. However, the Confederate Government ordered all railroads to release their engines and cars to the railroads that were carrying the most military traffic. It was during this time that the Shops began to produce gun carriages and other military equipment and the maintenance of locomotives was shifted to Macon. At this time, the profits for The Central began to shift from freight to passenger. Freight was increasing difficult since the port of Savannah was not as active due to the Union blockade. The Civil War did a lot of damage to the tracks due to heavy usage and the inability to make repairs. Tracks and bridges were also destroyed in Sherman’s March to the Sea. In total during the Civil War, The Central lost 140 miles of track which was over 1/2 of the track owned. It also lost 14 locomotives and 97 cars. By 1867, rail service from Macon to Savannah was restored and William Wadley, who was President of The Central, began to restore it to a profitable business. The company began to restore tracks and add additional track as well as to purchase other lines such as the Savannah Steamship Line. In 1887 though, The Central was purchased by the Richmond Terminal Company. 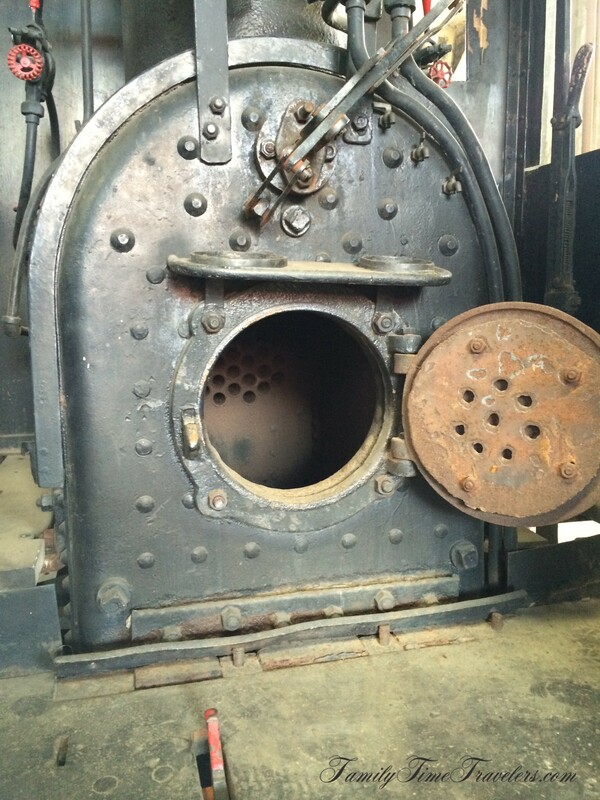 This purchase led to a huge financial disaster for the railroad as the Richmond Terminal Company began selling bonds that were over-valued and brought great debt to the company. 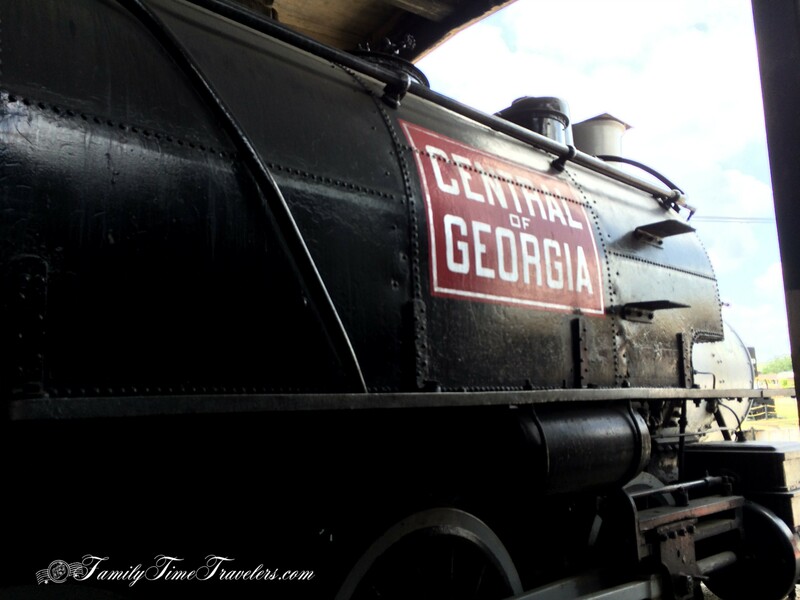 However, in 1890, the Tybee Railroad was purchased by The Central. It was the only run between Savannah and Tybee and operated until 1933. The financial woes continued until the company was placed into receivership in 1892 when the line had almost 2700 miles of track. 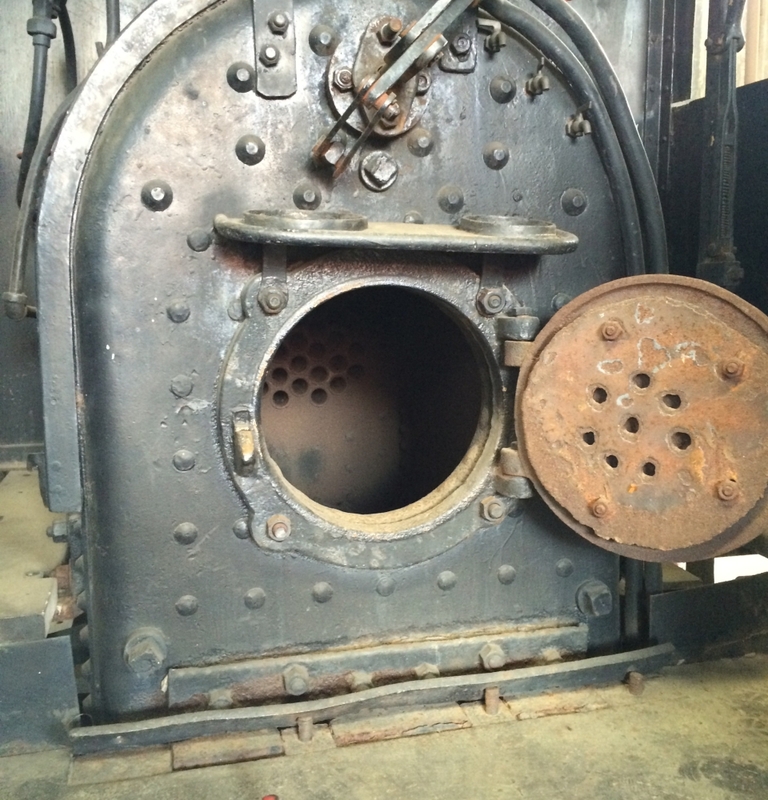 In 1895 it was sold to an investing firm out of New York City, Thomas & Ryan. A new company was created after the sale, The Central of Georgia Railway and the President was Hugh Moss Comer, who was the receiver during the time the company was in receivership. The railroad was again purchased in 1907 by another investor, E.H. Harriman, also of New York. Harriman sold the railroad again two years later to Illinois Central Railroad and they kept control over the railroad until the Great Depression in 1932. During the Great Depression, The Central again encountered financial difficulties and went into bankruptcy. 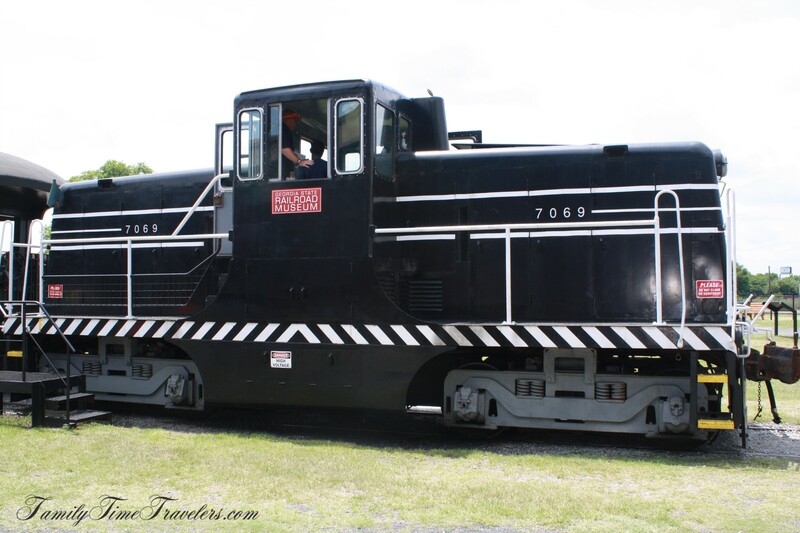 In the 1940s, the switch began over to diesel locomotives. Passenger trains were switched over to the new diesel locomotives and with that, the shop began to become obsolete. Though they tried servicing diesel engines at the shop in Savannah, the work was shifted to Macon as they had the ability to service diesels. Servicing diesels is very different from servicing steam locomotives. The Savannah Shops were closed down in 1963 after the railroad was acquired by The Southern Railway. The Shop complex was neglected for many years and at one point the smokestack started to be disassembled for the brick. However, in 1989, the Coastal Heritage Society took over management of the shop. 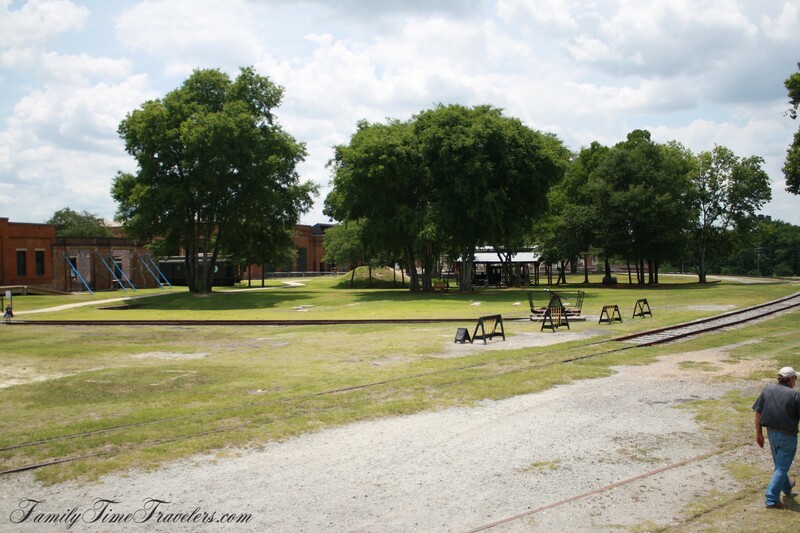 Today, the museum complex is recognized as a National Historic Landmark District and is known as the Georgia State Railroad Museum. Construction on the railway from Macon to Savannah began in 1835 and was completed in 1843. The first President of The Central was William Washington Gordon, Juliette Gordon Low’s grandfather. 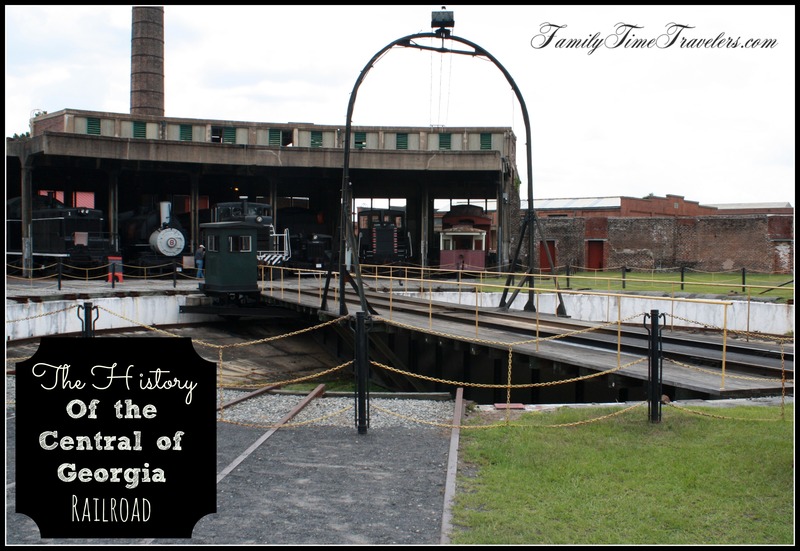 The Central began operating fully in 1840 as primarily a freight line moving cotton to the port of Savannah. The Civil War saw the loss of some engines and cars to other railroads that carried heavier military traffic. Sherman’s March destroyed tracks along with bridges and railroad stations. Income from passengers increased during the Civil War and freight traffic declined due to the Union Blockade of the port at Savannah. 1867 saw rail service restored between Savannah and Macon. The Central was purchased by the Richmond Terminal Company in 1887. 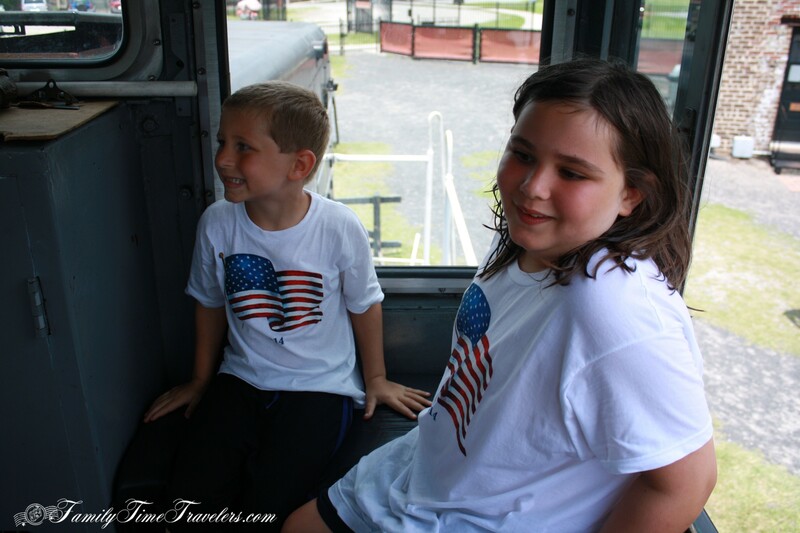 1890, the Tybee Railroad was purchased and operated until 1933. 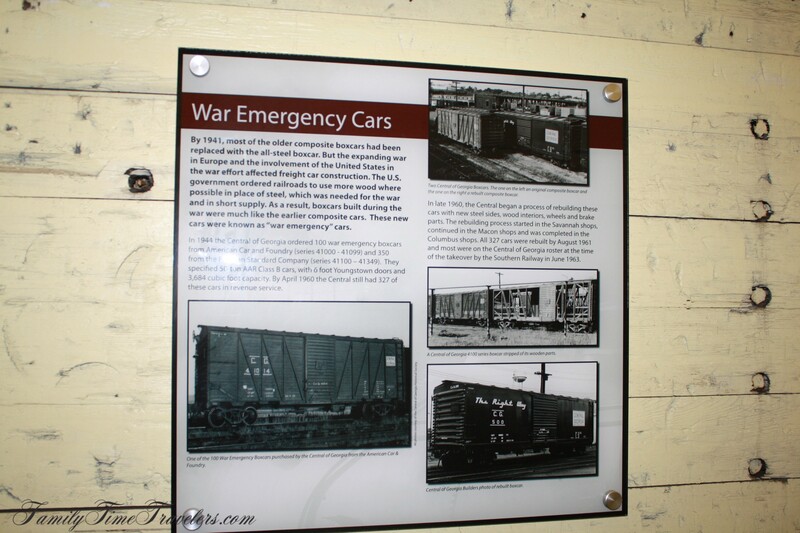 The railroad was purchased again in 1907 by E.H. Harriman who sold it two years later to Illinois Central Railroad. In the 1940s, the lines began switching from steam to diesel locomotives. Savannah shops closed in 1963 and sat in a state of disrepair and decline until they were handed over in 1989 to the Coastal Heritage Society. The smokestack was partially disassembled for the brick but has been restored. The shop is now a museum as well as a working shop to preserve and restore engines as well as cars for future generations. The Museum is raising money to reconnect the shops to the main line via a bridge. The original bridge was removed by the City due to commercial traffic needing to use the road. The original bridge was too low. 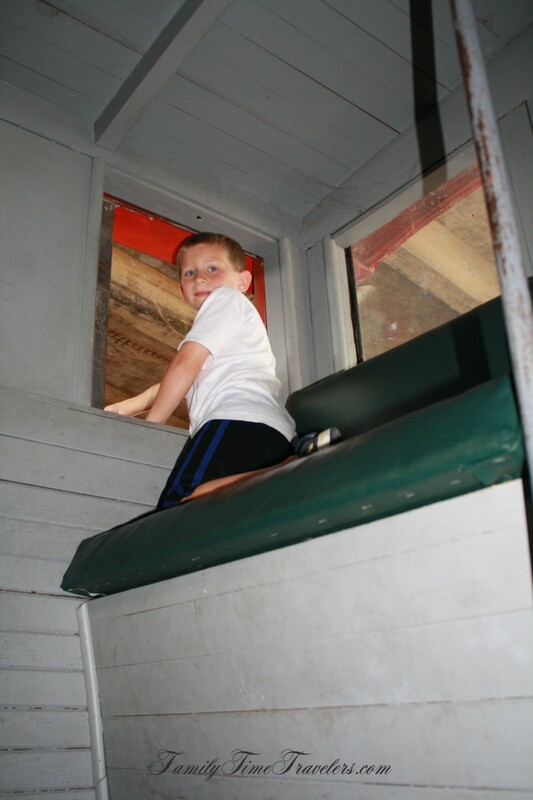 Hands on activities are a part of the current Georgia Railroad Museum. This entry was posted in Destinations, Georgia, Savannah. Bookmark the permalink.